Our Club participated in a Global Grant Scholarship (along with RC Westlock, RC Saint City, RC Nisku/Leduc, RC Jasper and RC Brisbane) to help support Amy Smith, where she is currently completing a Masters of Development Practice Degree (with a specialization in Social and Cultural Dynamics of Development) at the University of Queensland in Australia. Here is her most recent update! 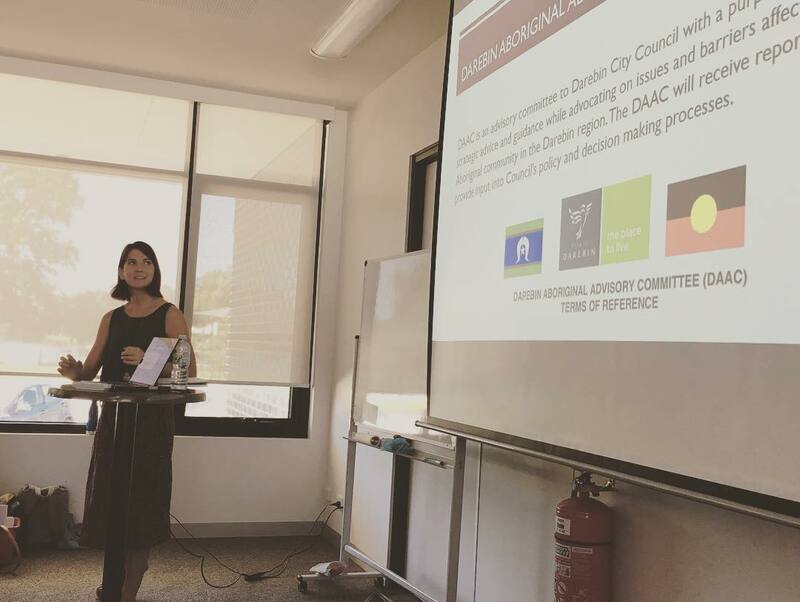 "During the 2018/2019 summer period, I interned with the Dja Dja Wurrung Clans Aboriginal Corporation (DDWCAC) in Bendigo, Victoria for five weeks. Right from the start, I felt welcome and included by the small team at the office in Bendigo. Everyone made an effort to get to know me and make sure I was comfortable in my new temporary community. This Canadian also got to experience her first 40 degrees weather in Australia! My primary role was to provide research assistance and complete research reports for the DDW Treaty Project Team. I used my background in political science and Indigenous studies to share examples of treaties, joint-management projects and more widely, Aboriginal-government relations in the Canadian and Australian contexts. I got the chance to work alongside Dja Dja Wurrung community members who taught me about their goals and aspirations as a community. It was such a positive environment to be in, as we held long and passionate discussions about the future for Indigenous rights, not only in Australia but around the world. I even got to work with researchers from universities in Canberra and Melbourne, which provided me a space to improve my research skills and techniques. My supervisor encouraged other team members to include me in community events or trips off-site and they happily obliged. I was able to attend a celebration of ‘section 18,’ which granted greater authority to Bendigo and District Aboriginal Co-operative over the welfare of Aboriginal children. I attended a media launch event that signified a collaboration between the City of Bendigo and the DDWCAC (Dja Dja Wurrung Clans Aboriginal Corporation) on a creek restoration project. I attended a welcome to country, a smoking ceremony, as well as a community arts event that hosted Dja Dja Wurrung singers and musicians. I also had the opportunity to go out on country with a cultural heritage advisor who took me on a tour of and explained DDWCAC’s involvement in a nearby pipeline project. I will cherish these memories where I got the chance to learn more about Dja Dja Wurrung culture and what they are involved in in the wider Bendigo community. The last and most memorable part of my internship was a community focus group with the Dja Dja Wurrung community, where roughly 50 people came together to discuss and debate what the future could look like for the Dja Dja Wurrung. I got to introduce myself and present my research findings. As an Indigenous woman from Canada (Metis Nation of Alberta, Treaty 6 territory), I felt accepted and appreciated by the Dja Dja Wurrung community and this reminded me of the power of Indigenous resilience and how we are stronger when we connect and support each other. I made the most of being in Bendigo, and went on a tram tour through the city, saw an Aboriginal dance performance (Bennelong by Bangarra) at the local theatre, and even went on a weekend camping trip to the Grampians! Huge thank-you to the Aurora Internship Project (www.auroraproject.com.au) for coordinating these internships for university students across Australia. This experience is exactly what I was hoping for when I decided to move to Australia for my Masters. Hiy Hiy (‘thank you’ in Cree language).